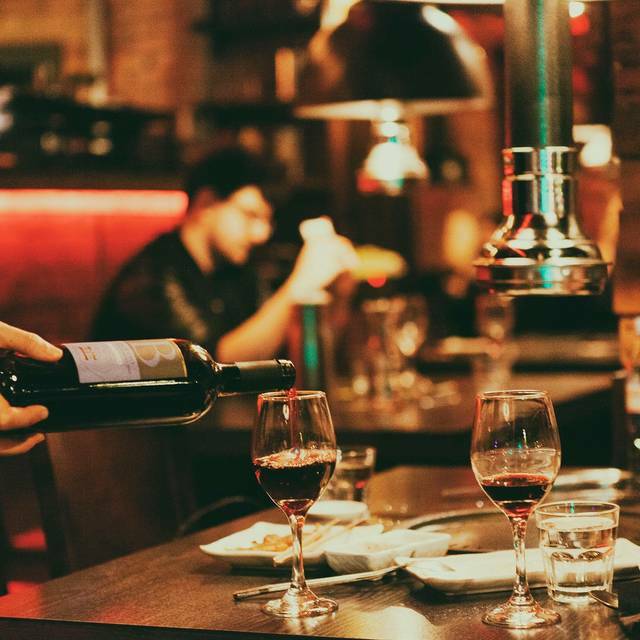 You must make bookings at least 5 minutes in advance of the time at Gogi Restaurant. Private functions welcome. Please esquire within. 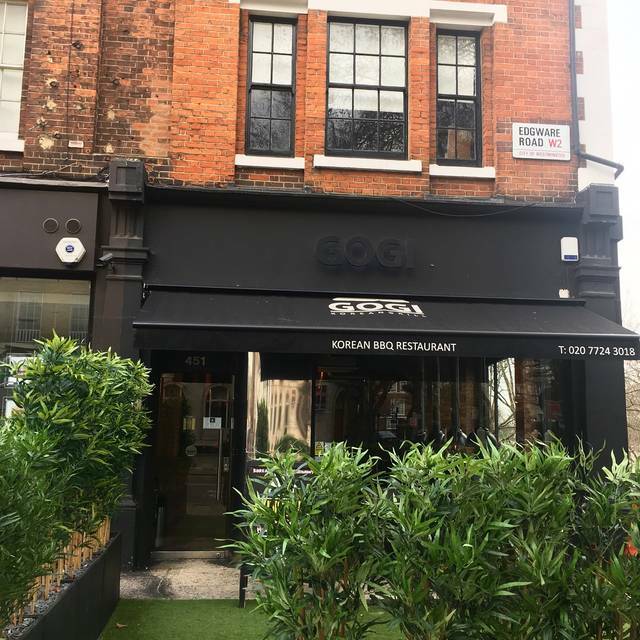 GOGI restaurant is located in Maida Vale, romantically overlooking the Little Venice Canal. 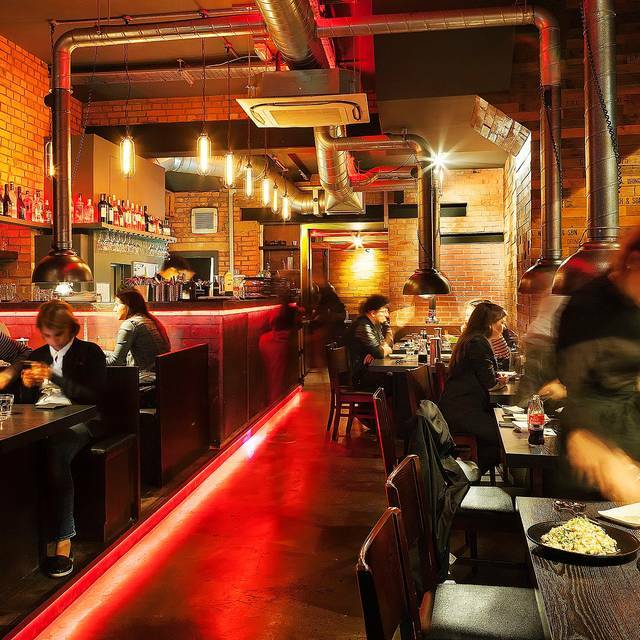 Its extensive menu offers traditional Korean cuisine with a modern twist and specialises in Korean style barbecue cooked on individual grills at your own table. 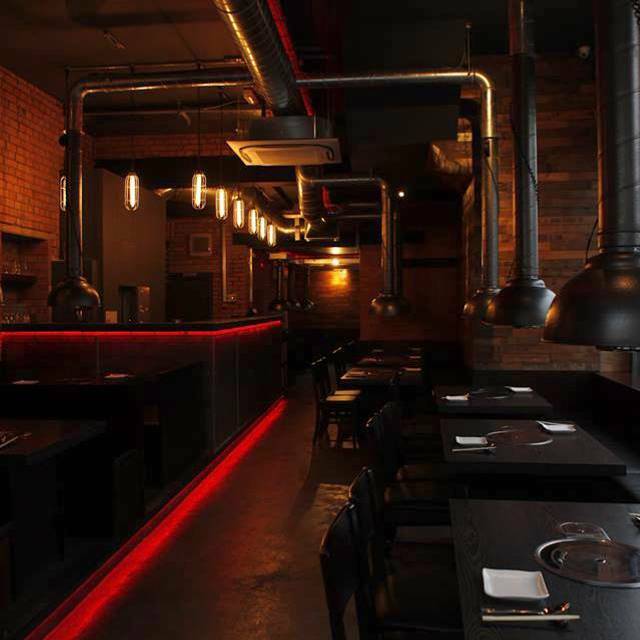 The interior decor is modern yet intimated, with a private section at the back perfect for large group bookings. Prices are higher than usual korean bbq and typical side dishes were not free. The food weren’t amazing but not bad. Fantastic as usual, very tasty! Uncomfortable seating at tables unless you are very short. Staff were not particularly friendly. Food was good enough. We went there for my friend’s birthday and it was a lovely atmosphere. The food was very fresh and service was spot on! I think the venue was well placed. It had a good ambience the tables were quite close but I didn’t feel intruded on by other diners. Our initially waitress was very thourough and polite. She helped us with drinks and explained the menu really well as well as checked ingredients with the chef due to an allergy. She was really patient in helping us and taking our order. After this a second waitress took over. I felt that she was too busy as she was nice but her service was poor. We had the bbq platter. Which she told us she would be in charge of grilling for us. The rib eye we asked to be done medium. She placed it on the grill and walked away. It ended up being well done and dry. The chicken she cooked for us was raw and I had to ask her to put it back on for fear of it making me sick. And the bulgogi ended up burnt as once again she placed the meat on the grill and simply didn’t return. The other items we ordered were really tasty especially the kimchi and cocktails. Overall I feel the restaurant was good. However our experience was negatively affected by our waitress who was ill attentive and seemed disinterested. We ended up spending about £100 between two people with starters, main and drinks which I think is very reasonable. In summary, good prices, good food, substandard service. The food is nice but overall there is something slightly...disappointing. Service and general feel could be better. Also expensive given the above. 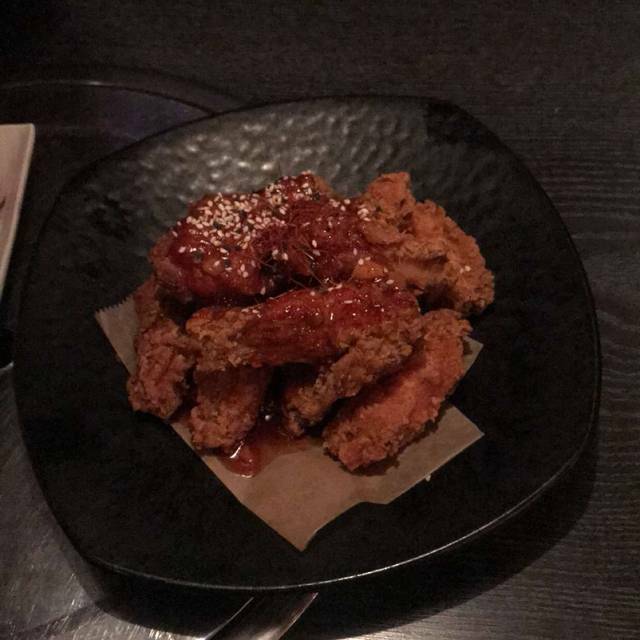 It truly is one of the best Korean restaurants in London. The dishes are authentic! Probably one the best spots I’ve been to in a long time, very cosy, ambiance was superb, staff were amazing an overall 10/10 experience. All good - the welcome was a bit weird - the guy checking is in simply said ‘you have the table for 2 hours’. Not very welcoming! Highly recommend this place... Great food and service! The atmosphere in the restaurant is nice and chilled. Very clean! Great food, unpretentious, lovely informal ambience created by 80s background tunes - great location- will go back for sure. The food was reasonably-priced but well marinated and did taste nice. The personnel in the restaurant were the ones who would grill the meat for you so it wasn’t bad for what we paid although we did lose the experience of grilling it ourselves. It was a great night for us, the reason for the 4 stars was because the time placed for each table was timed (which I would understand considering that a lot of people go here) so it felt a little rushed. The restaurant was surprisingly dimly lit to the the extent that we did not know if it was open at first. We ordered the BBQ set for £27+ for two ppl, but the serving was so small. Not worth the price at all. We also did not get the experience of bbquing on our own as the staff helped us do it (there’s only a few pieces of meat) . Overall an unsatisfactory experience. Very disappointed as the location was bad and we thought it would be compensated by good food. Hands down this is the best Korean rest in London. 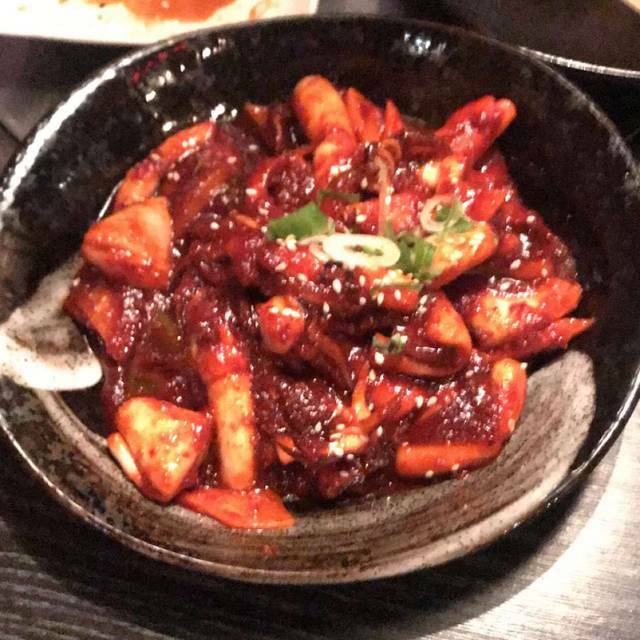 We love our Korean food and have been to several in and around the area. We love Gogi!!! Good food but can be pricy. Really good food and vibe! Food was great, vibes was cool. But servers seemed unhappy, and as they stand aat your table and cook your food for you, it was a little off putting. Great food, attentive staff, lovely atmosphere. Definitely going back! We ordered a bbq platter which had pork, chicken and beef pieces. We had the choice of grilling it ourselves or have it grilled for us. We chose to do it ourselves. The meat was decent tasting, however I would have ordered more sides with it. I’d also recommend going as a group as it is quite a nice experience, however a little underwhelming. We also tried the Korean cocktails with soju, the blueberry was a bit too strong and bitter for my taste however the lemon zest one was very yummy!! The staff were nice, we went on a Wednesday evening and it was very quiet. It’s quite a small venue but spacious seating. Terrible food. Tried the spicy beef soup and it was floating in oil. Meat was overcooked. 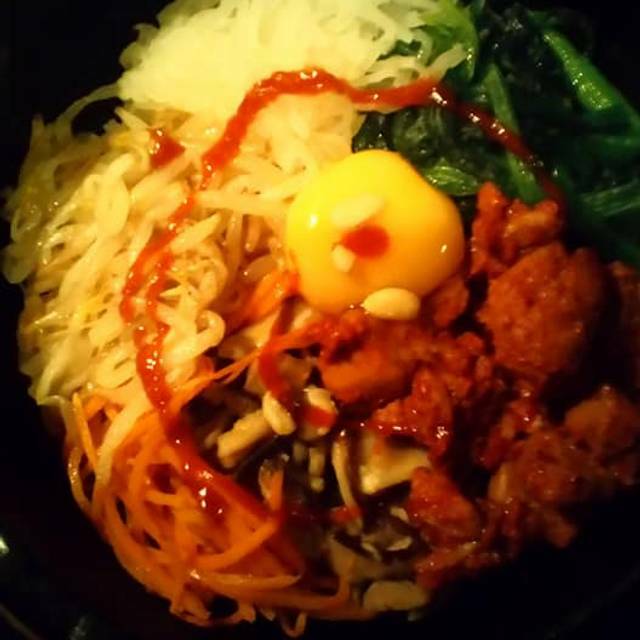 Also had the bibimbap and it was tasteless. The seafood pancakes were decent but overall not impressed at all. Staff is super kind! Really! Food is good.. the ambiance.. it’s a bit dark but I loved the restaurant and the overall experience! 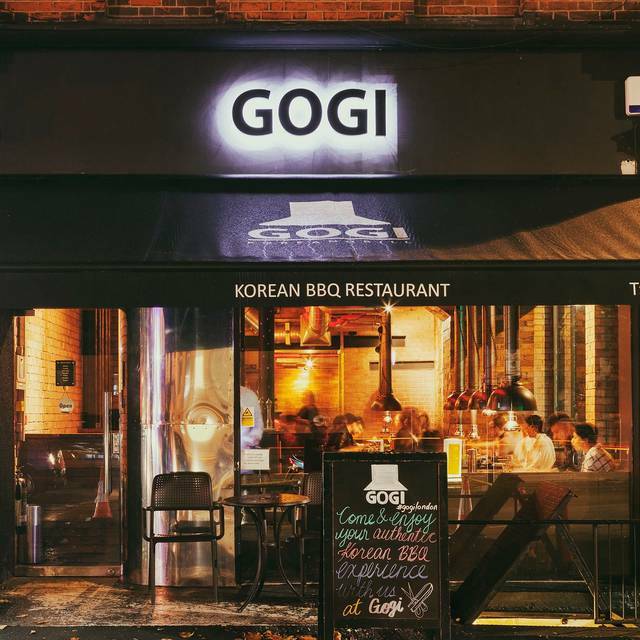 We visited last sunday and one of the staff Who was a korean guy grilled our ribs for us and it was fantastic, i have visited gogi before but no one had cooked beef like he did and he even pick the meat from the bone. What a wonderful service. 12.5% service charge was included and i truly hope he could have those service charge because he deserves it not some sneaky managers or owners. Bbq is nice all the time. Barbecue is quite good however main dish is acceptable. Recommend ordering their pork belly barbecue there . Food was really good, but service was mediocre. We ordered a bottle of red, but on tasting it it had definitely oxidised. I was told this one was "meant to be fizzy"... They did in the end replace with a different variety, but charged for the slightly more expensive one. Once ordered the food also took a long time to come, and then arrived all at once (i.e. we got our mains before starters were finished). However, I would still recommend the restaurant and I think we were just unlucky slightly! The staff were very good about my friend running quite late. The Staf was Bert kind when menand my friend arrived externally late but gave us a table anyways! 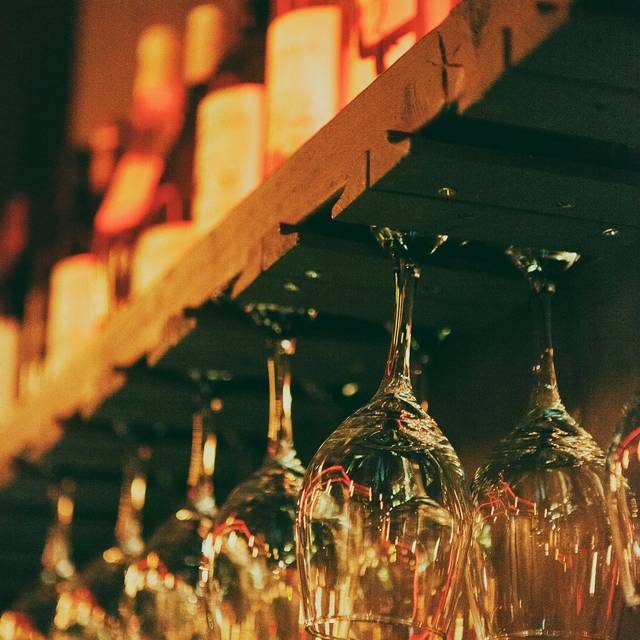 The food and drinks where all very good! It was a bit stressful that the stag would stand at your table and cook instead it you doing it yourself, but it was still very enjoyable! It was a really fun experience and the food was tasty enough! The place is a little on the small side so seating may be a little congested. This is a hidden gem along Edgware Road. The BBQ here is excellent and, I think, better than the Korean restaurants in further central London. There are many side dishes so you could order those instead of BBQ or just combine all. The bigger the group, the more dishes you can share & enjoy. They have a lunch menu which is good value for money. Food comes out very fast, staff are pleasant. The tables are nicely spaced apart so you wont be cramped. I particularly recommend the Spicy Pork to BBQ, Seafood Padjeon, Vegetable Japchae, washed down with some Makgeolli. The only negative I have here is some of the staff dont seem to know how to BBQ the meat properly - meat is often overcooked, heat is too high so that oil spits all over the table and over customers. I came home with flecks of Spicy Pork oil all over my white T shirt. I would recommend you BBQ the meat yourself. I haven't seen any aprons available for customers but this would be good if provided. I love this place and will continue to come here regularly and recommend to all. Outstanding food and service. Made to feel really special.